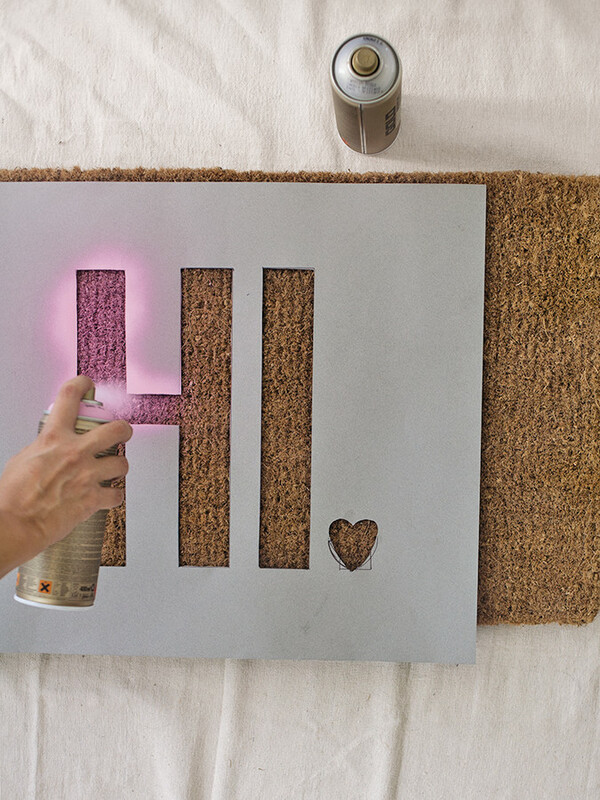 Give your front door a little love with this smile-inducing craft project. 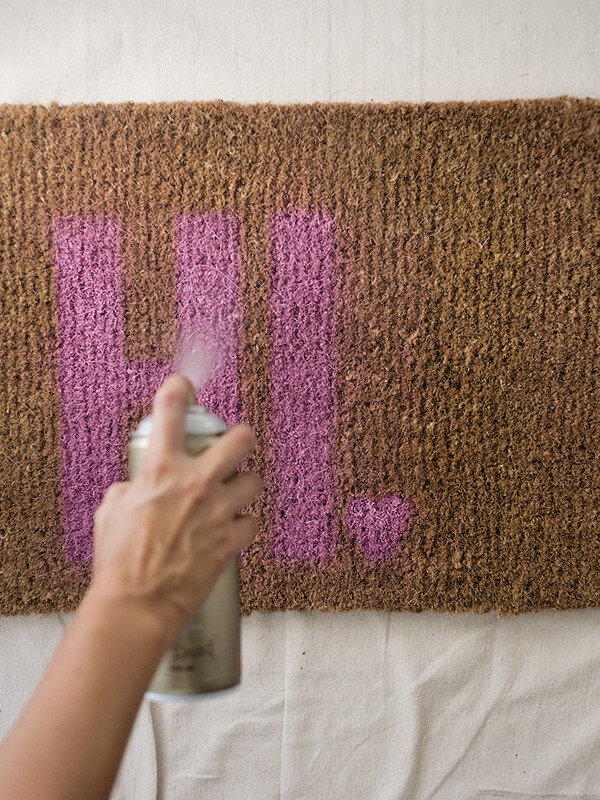 Make your own spray painted doormat with the help of Adriane Adarme's new book, The Year of Cozy. Craft photos by Billy Green. "I've come to the conclusion that all of the cutest doormats in the world are expensive. Sorry, pricey doormats, you're at the very bottom of my splurge list," laments Adrianna Adarme, founder of the awesome, idea-filled blog, A Cozy Kitchen. 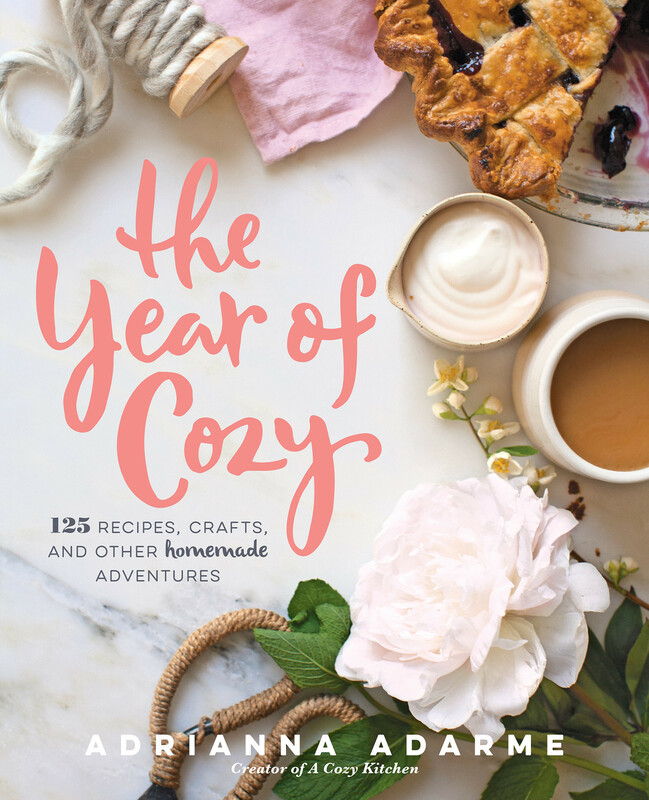 We have to admit that it's not that often that we get all jazzed over a doormat, but thanks to her new book, The Year of Cozy, our entryway interests are peaked. In the cute hardback (that'll look beautiful on your coffee table, FYI), Adarme shares a year's worth of recipes and do-it-yourself projects to get you from the dog days of summer, to the cuddly months of winter, and back again. 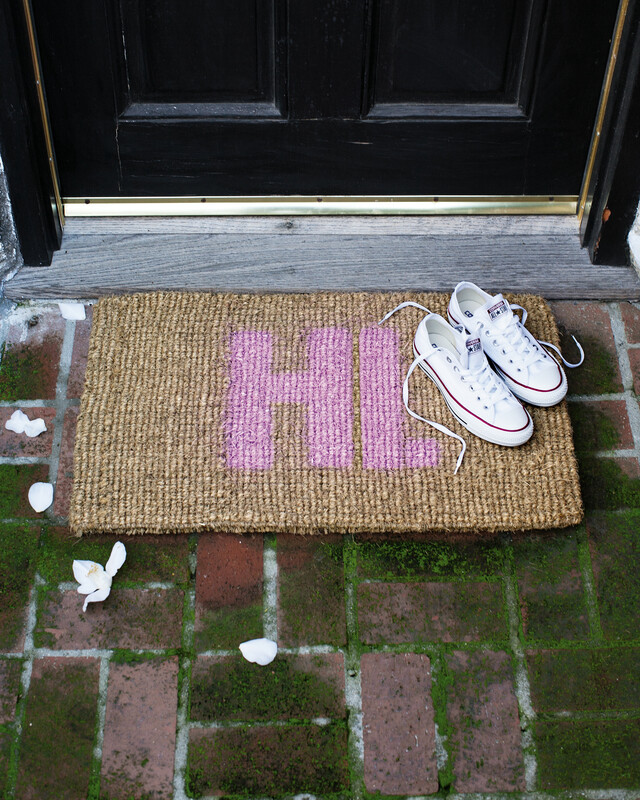 And lucky for her loyal readers and newfound fans, the clever recipe-writer and craft-creator walks us through three simple steps to make a personalized doormat that's both adorable and budget-friendly. Place the stencil atop the doormat and position it where you like. 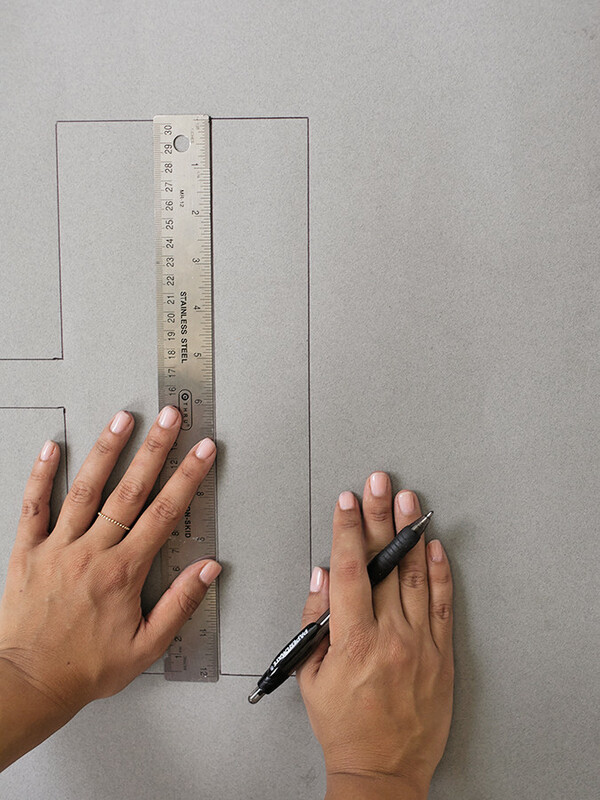 Secure the stencil with one hand and, with the other, spray-paint the negative space of the stencil. Allow to dry completely, about 1 hour. Remove the stencil and spray the doormat with a top coat. Allow the doormat to dry for an additional 30 minutes to 1 hour before stepping on it. Adrianna Adarme's new book, The Year of Cozy. Photo by Adrianna Adarme. Looking for more of Adarme's D.I.Ys? Check out her dip-dyed dog leash and hand-painted pillows, and then head on over to our D.I.Y. Pinterest board for even more fun crafts.